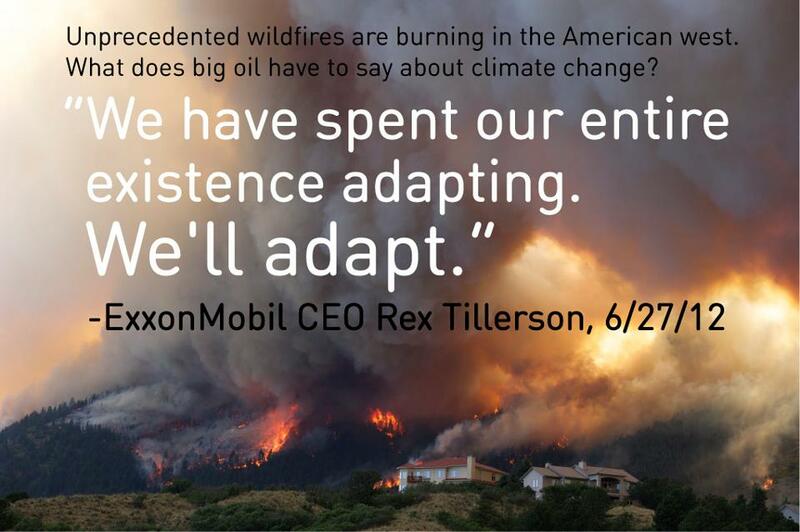 I'm a day late to this image above and the social media outrage around it, but I've been thinking, and unfortunately ExxonMobil's CEO is right. That's the unfashionable thing to say in green circles, but he is right. Humanity has spent its time on this planet adapting. Both adapting the world we inhabit to meet our needs, on various timescales and over various areas of the globe, as well as adapting to the local conditions under which we live. And, we will adapt to climate change. But nevertheless, the statement is obfuscation of the highest order; it is literally true but contextually entirely false. And it is there where it's deep insidiousness resides. How many humans the planet can support in a world that is 2°C, 3°C, 4-6°C warmer on average—with all the ecosystem, biodiversity, agricultural changes that brings—is a very much open question. The odds are solidly in favor of far less than it now does, just because of climate change, ignoring resource overconsumption and population growth. Which is all to say, that while humanity will adapt to a climate changed world is true, there is no doubt that climate change will create, in comparison to today, let alone a pre-industrial, lower population world, a world that is less bountiful, prone to more extremes of temperature and weather in many places, less fecund—and since we're talking about human adaptation, more difficult to live in and less conducive to human civilization. The thing in Rex Tillerson's statement that is so mind-numbing egregious to me is the apparent full public blindness to the fact that this is the world that we are creating, that humanity is creating largely because of the products that Tillerson's company produces. It's made worse by the fact that Exxon has historically, and currently, funded countless organizations that attempt to sow doubt about this fact, apparently solely to enrich themselves. It's just that we'll be adapting to a less bountiful, polluted world... A world we're creating.